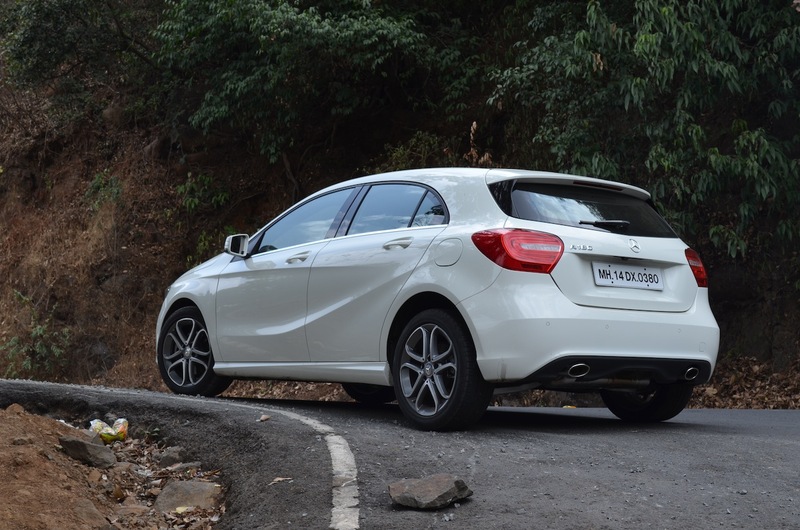 Review: Mercedes Benz A Class A180 Sport. Should you? 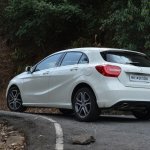 So the Mercedes A Class. Where do we start? 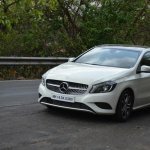 You’ve been hearing stuff like ‘Mercedes is entering a brand new segment....It’s a hatchback the size of the VW Polo for INR 20+ lakhs, how will it sell in India...’ and many other such lines. While all of those are true, lets talk about you. 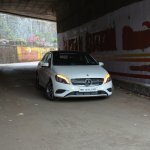 Should you buy the Mercedes A Class or not? Find out soon. 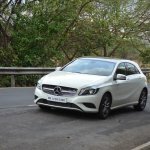 The A Class has been launched in both petrol and diesel. We’ve driven the petrol today as the diesel media vehicle is not yet available. 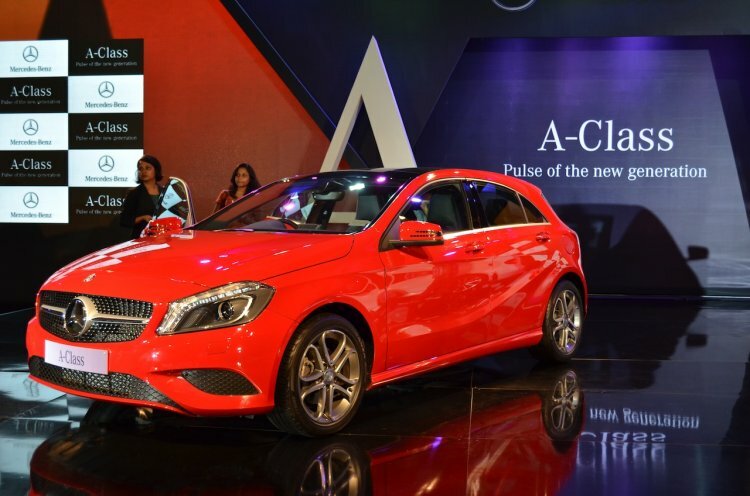 The A Class will be available only in three colors - Red, white and silver. 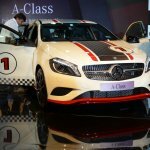 You can read about the A Class launch here. 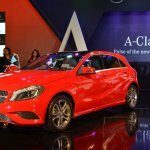 Only three color options for the A Class. And none of them are black! Weird. It’s a hot looking hatch! Even won the Red Dot design award in 2013. Turns heads? Certainly. Would I consider buying it solely based on its looks? Most definitely. You can even get your’s accessorized if you feel the need to. This is the previous gen A Class. 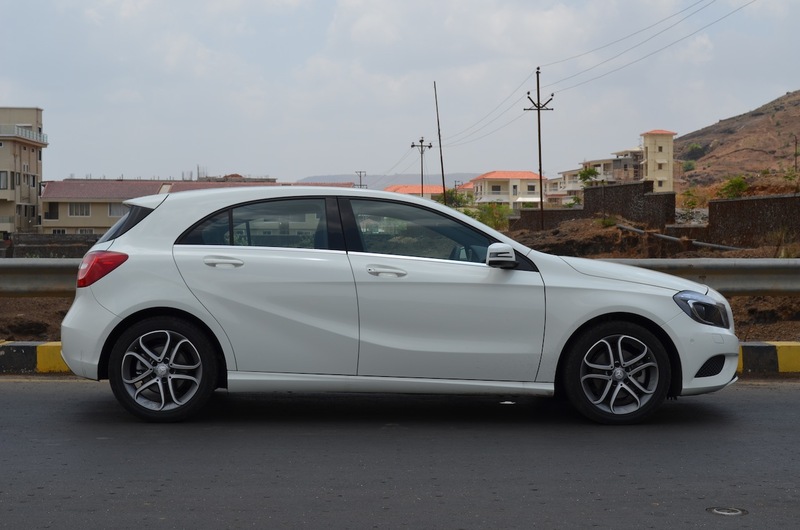 New A Class marks a radical styling departure from its boxy predecessor. 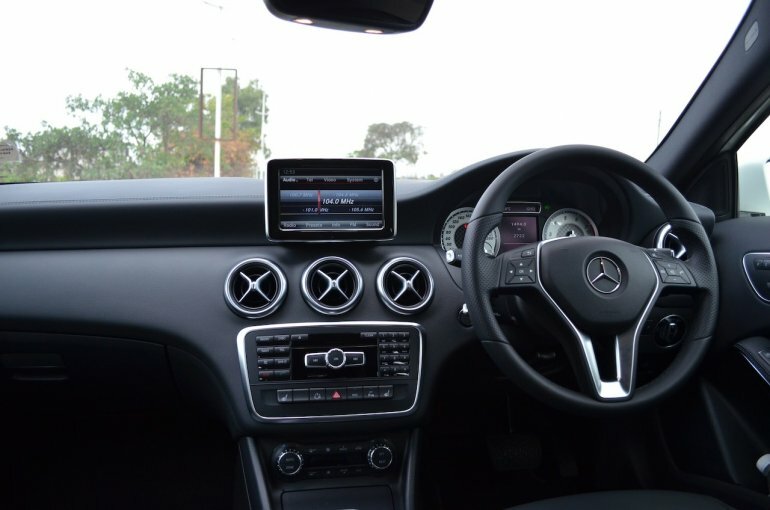 Can you believe the radical change in design from the old A Class to the new one? I would give the A Class a 10/10 for the way it looks. Also, from what we see, the petrol gets the dual exhausts on either side of the car. 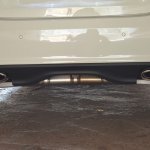 The exhaust of the diesel is not visible at all. 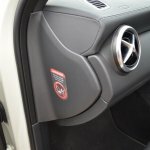 This is maybe because the petrol is sold in the 'Sport' trim while the diesel is sold in the 'Style' trim. 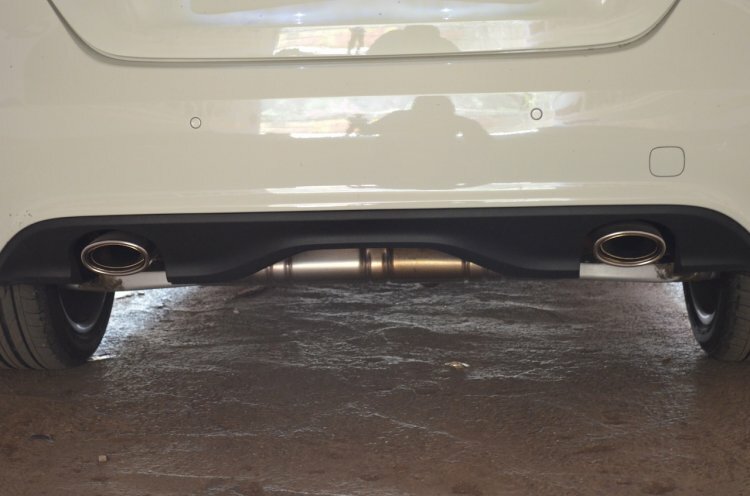 Petrol in 'Sport' trim gets twin exhausts. 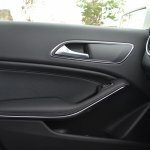 Should I go on about the boring stuff such as the coupé like C pillar and the lights and other things other people like to talk about in so much detail? No. 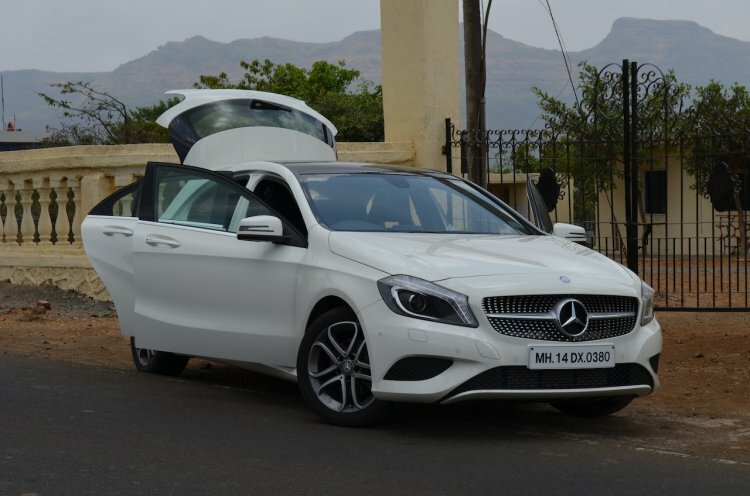 The A Class is a good looking car. 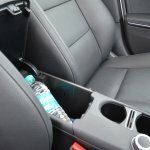 Indian Autos Blog does not wish to waste your time explaining about the very obvious (and often subjective things). Oh for all you anoraks, the grill up front features 302 diamond resembling pins. 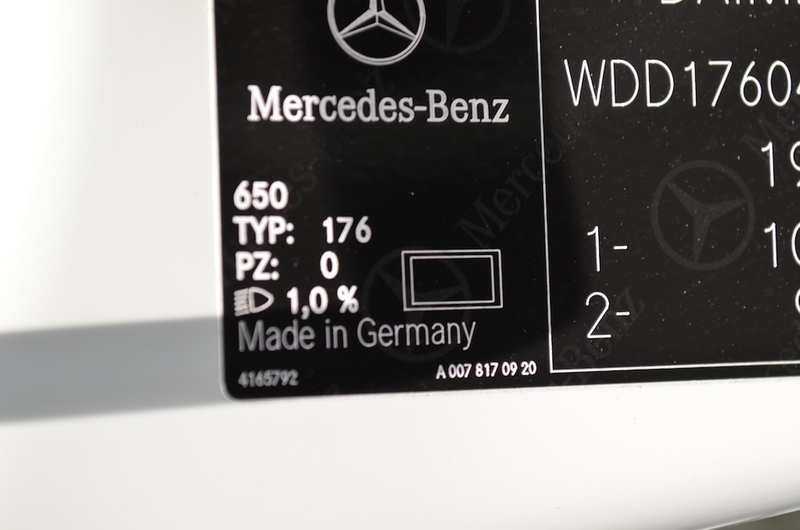 We counted (actually we didn't, Mercedes told us and we're telling you). The other available grill design internationally features two horizontal slats, but this design is not available for India. Note the crease that extends upwards after the front door. 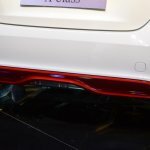 The B Class features the same crease as well. 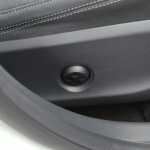 Do all MFA cars get this styling feature? 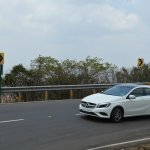 On the one hand, the build quality in 99% of the A Class is fantastic! 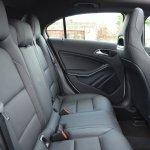 The doors feel solid and typical of a Merc, the buttons throughout the cabin feel good to use, the aircon vents are superbly designed and there is the right amount of leather in here for the price. On the other hand, the overall ‘all black’ color theme is very gloomy and I’m not a fan of the 14.7cm central screen. The UI seems a bit dated and slow. 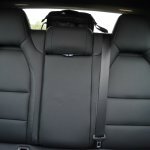 The front seat features an integrated headrest which is very uncomfortable for your neck. The seats themselves have no ‘give’ or cushioning in them (why this is a problem I'll explain in the ride and handling area). Legroom is decent. 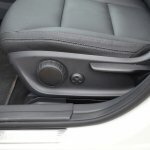 The front sports seats are not. Moving on to the rear seats, ingress and egress can be a bit difficult for some people. Once sat in the seat, you'll find that legroom and kneeroom are pretty good. It's only when you've two 6-footers sitting back-to-back that things can get a bit cramped. 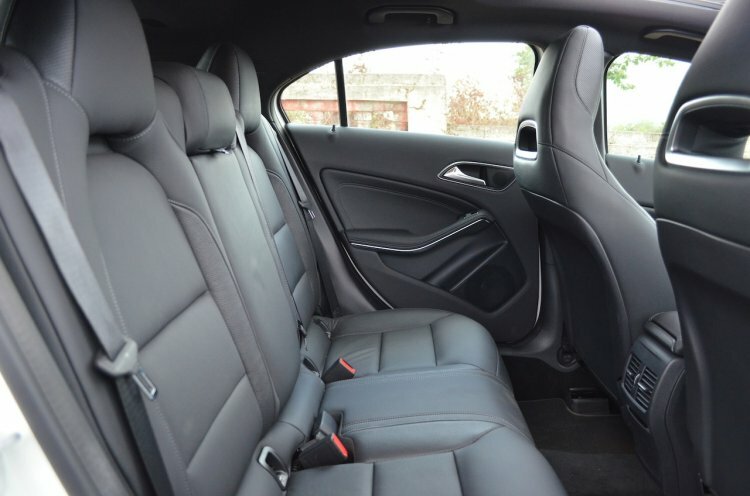 However, it is is highly recommended that you use the A Class as a four-seater as fitting three adults in the rear bench can be a bit of a squeeze. 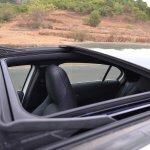 Note for India - Best used as a four-seater. 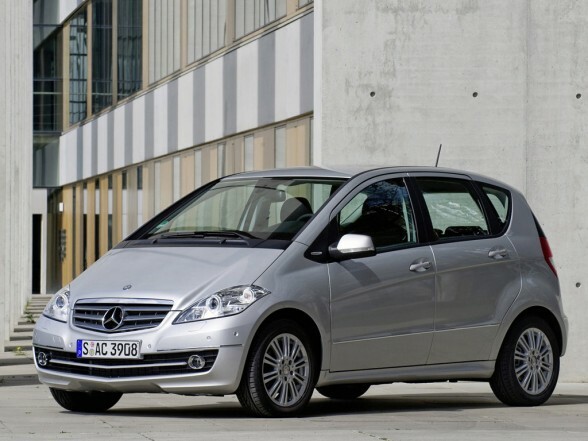 But then again, the A Class is a European hatchback and style is given a priority over substance. If you're that sort of a person, you'll love the little A. 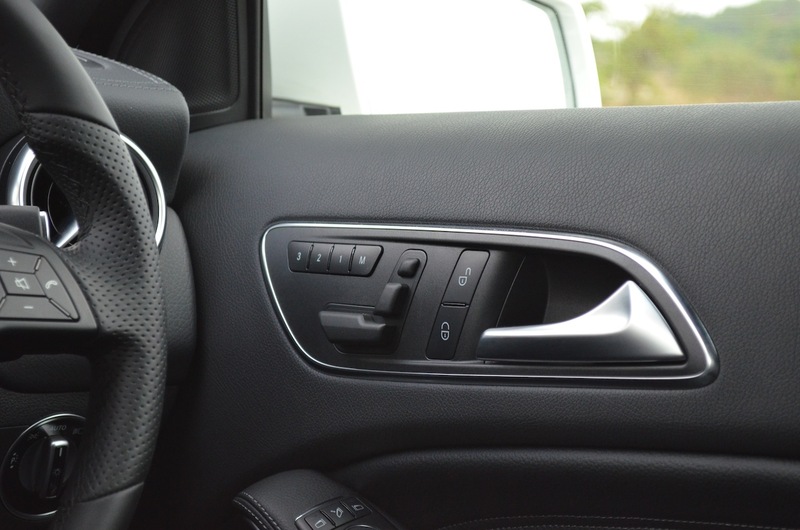 Overall, an 8/10 for the very European interiors. 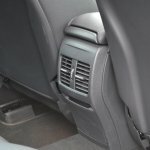 Driver's seats are powered with memory. 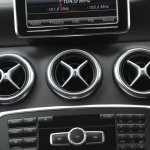 The A Class in petrol is sold in the 'Sport' trim. You get ABS, 7 Airbags, ventilated disc brakes front and rear, ESP, ASC (Acceleration Skid Control), Brake assist, Attention assist, Hill start assistant, electric driver seat adjust, electric mirrors, heated front seats, a music system (which sounds really good), parking sensors with a camera, satellite nav, dual zone climate control, paddle shifters and a huge panoramic sunroof. 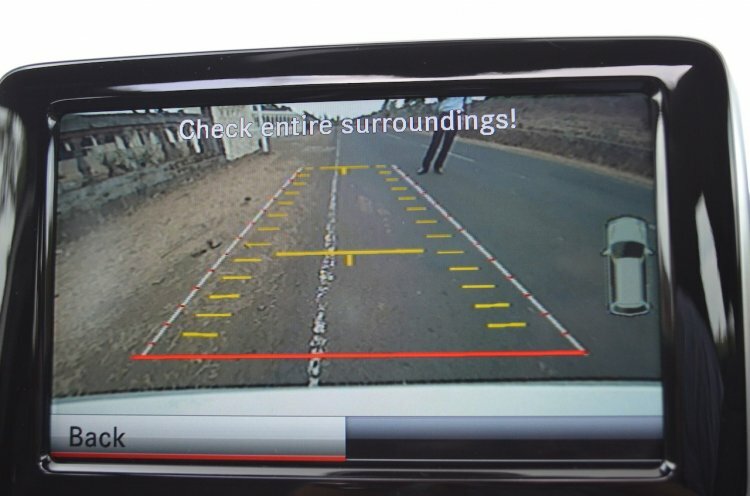 Parking camera and sensors are included. 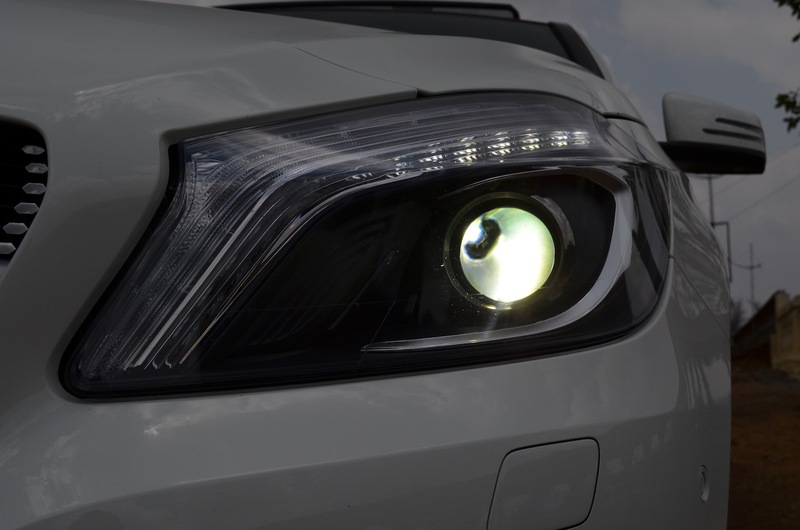 Bi-Xenon lights part of standard kit. 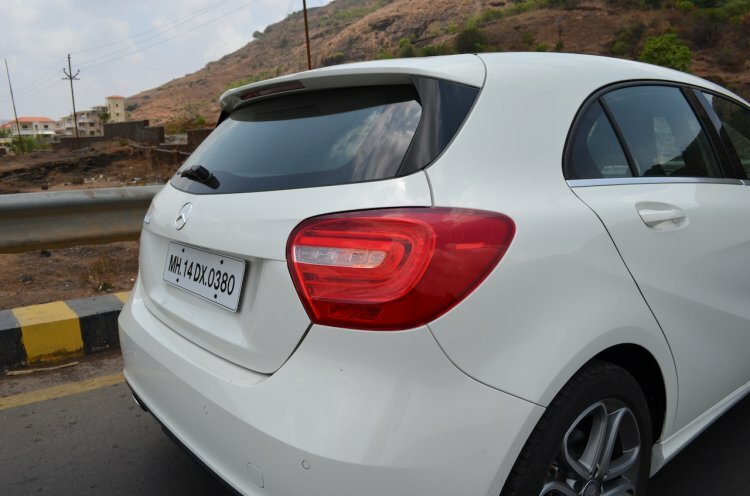 Under the hood of the A180 petrol sits a 1.6-liter turbocharged engine producing 122bhp of power at 5,000rpm and 20.4kgm of torque from 1,250rpm. A 7-speed dual clutch gearbox sends the power to the front wheels. 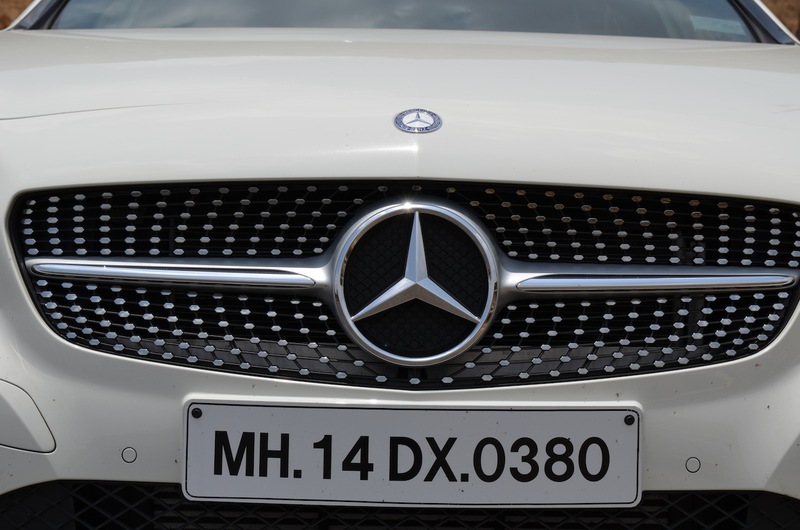 Merc India claims about 15km/l as the average. Oh yes. Make no mistake this is the best front wheel drive car I’ve driven so sportily. Steering is good, not the best, but more than enough for the power available. It tries to weigh up with speed and does a pretty good job at that and it lets you know what each of those four wheels are up to. It’s only in a few places that it feels a bit vague, but I would give the steering a 8/10. 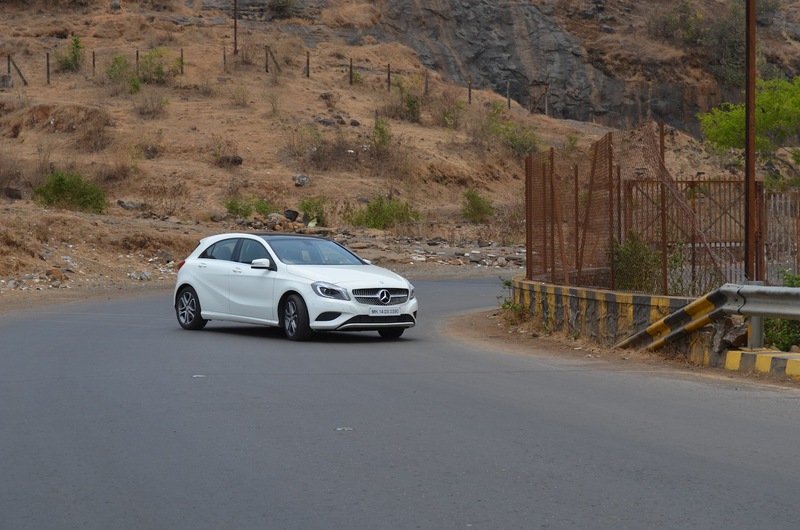 For a FWD car, the A180 is sporty and loves the corners. The brakes are fantastic. No other word can describe them better. The A stops with urgency even when you’re just tapping them and I would give it a 10/10! Coming now to body control. This is where the A Class surprised me. 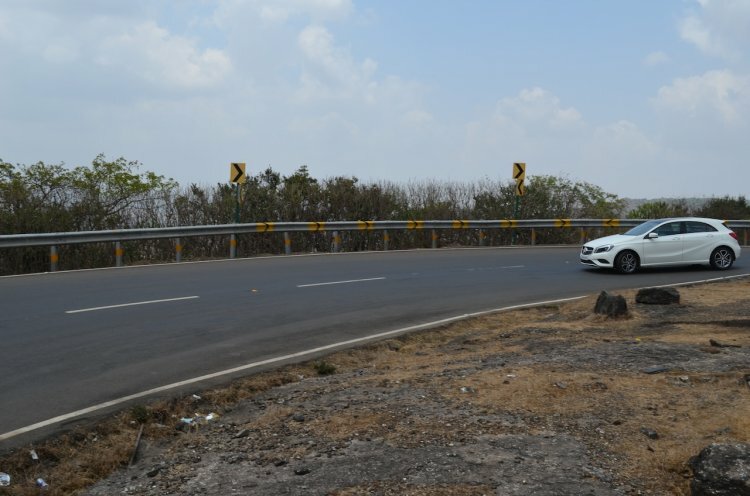 On the tight turns to Aamby Valley, this A Class was more like a go-kart in terms of handling. The chassis feels very stiff, the suspension setup is even stiffer. 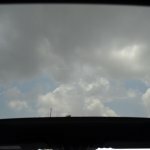 Cornering is flat and this is an enthusiast's car. It’s like as though the Mercedes engineers forgot to tell the A Class what body roll is, it’s that good. And you would think the A Class understeers. But you would be wrong. There is some amount of understeer which has been introduced on purpose to let you know you’re reaching the limit and maybe you could back off a bit. Otherwise, the grippy 225/45 R17's offer superb grip to compliment the A Class' chassis. 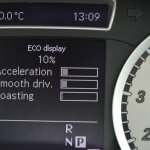 Steering feel is adequate for the power on offer. 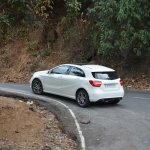 Another interesting bit about the A Class I found out at a hairpin bend - you can actually feel the rear of the car turn in at exactly the same moment as that of the front. The super stiff chassis of the A plays a vital role here, especially when you’re pushing it to its limit. 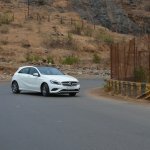 This is a fun, fun car and can rightfully claim the title as 'India's hot hatch'. 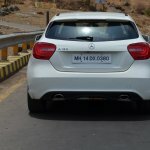 I think the A Class would pose a serious threat to the rear wheel drive BMW 1 Series which is coming out later this year in terms of driver involvement. Handling wise, the A Class gets a 9/10 from me. Easily one of the best FWD cars available on the market right now. Flat out performance is acceptable. You need to stand on the accelerator to get it going though. Coming to the engine, which also happens to be the disappointing bit in the sporty package. 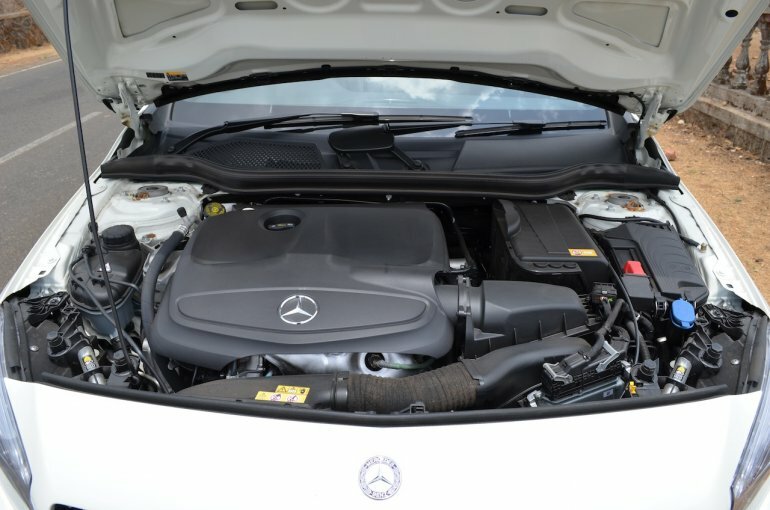 The 1.6-liter turbo petrol and the 7-speed dual clutch are not good partners. 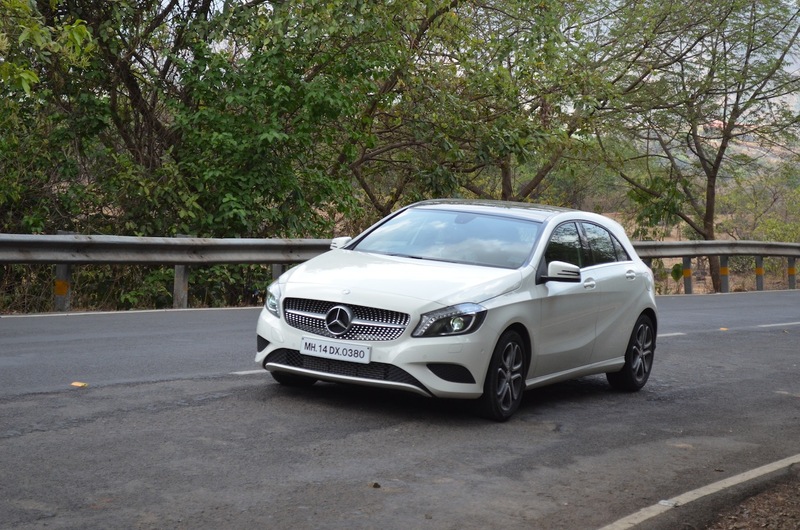 While it may produce 122bhp, it feels very sluggish at low speeds. 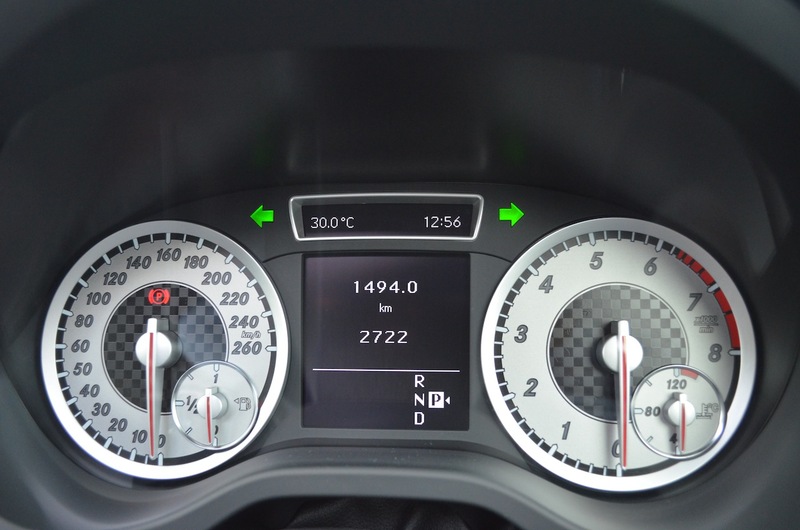 0-60km/h takes about 4.3 seconds, while 100km/h comes up in a quick-on-paper 9.2 seconds. For now, you should know that the engine performs well only when driven with your foot flat down on the pedal. 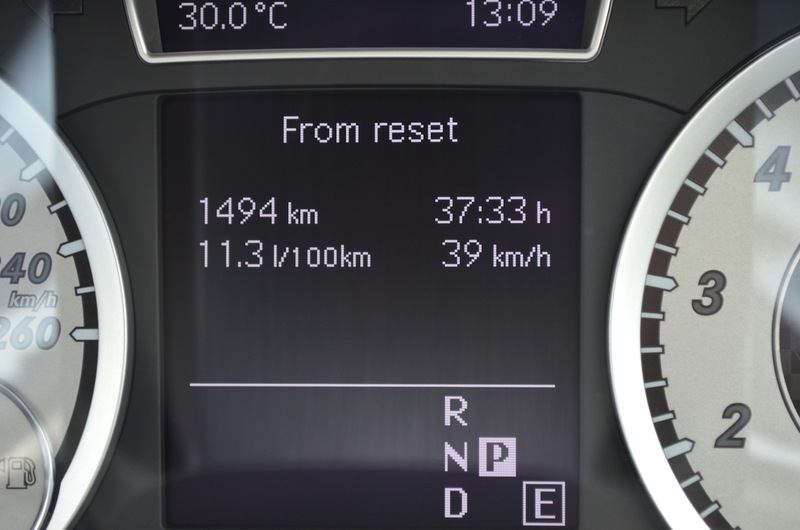 It does not feel effortless, mainly thanks to the turbo lag at low engine revs. Good grip from the tires and disc brakes all around ensure that you can push the little A to its limit. While driving it flat out, the performance is acceptable. 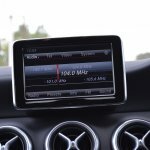 The A Class does not willingly rev to the redline, it’s better to upshift at the 5k mark. The top speed rated at 202km/h is very much achievable. Once you're past the turbo lag region, you can feel yourself being pushed back into those seats. However below those engine speeds, there is nothing special about this car. 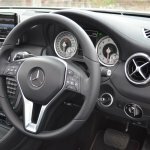 Is the A Class as good in the City? Find out in Page 4. 1. In start/stop traffic, you need to stand on the accelerator to get it going. 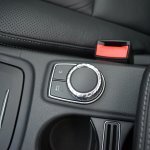 The problem is the quick shifting 7-speed DCT. 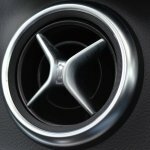 By the time the engine clears the turbo lag, the gearbox upshifts putting you back in the lag zone. 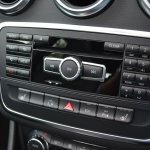 As a result, you'll either have to use the paddle shifts (which is a stupid idea for city driving) or make peace with this and drive in a relaxed 'chauffeur-like' manner. Gearbox has been tuned for economy. Keeps shifting at the 2k mark putting you in the turbo lag zone. Not ideal for the Stop-Start traffic. 2. Visibility is not great. While taking 90-degree turns, you'll have to croon your neck like an owl and be doubly sure about your surroundings. 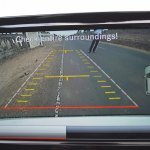 There are a few blindspots in the car as well. Not good when the rest of the world is in a hurry to get to places and drives millimeters away from you. Visibility is pretty poor thanks to the coupé like C pillar. 3. Perhaps the biggest deal breaker for me. 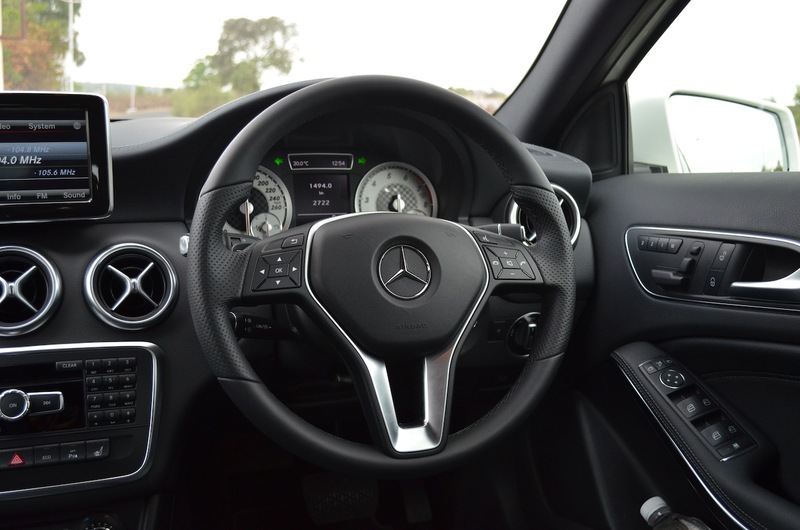 The ride quality of the A Class. 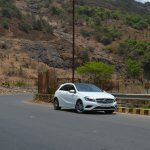 On a flat tar road, the A Class is beautiful: Road noise is controlled, ride is superb and the world is a wonderful place. 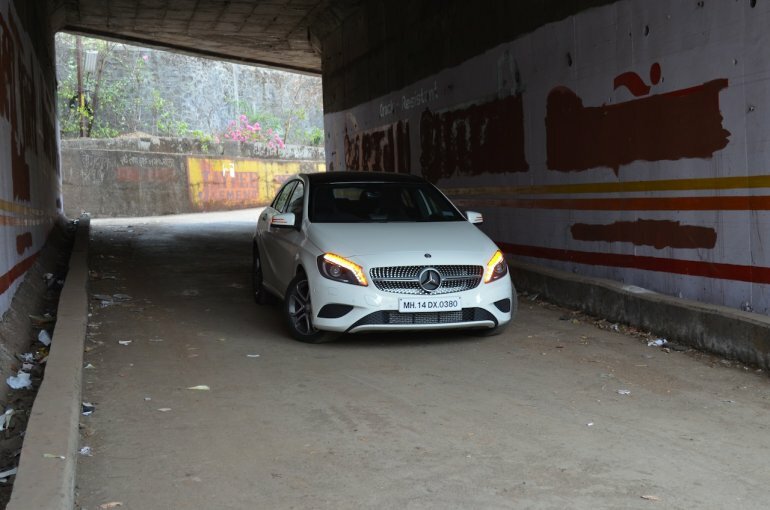 On concrete roads, patched roads, bad roads, uneven roads, over a pothole, over a closed manhole, over small rubber speedbrakers, the A Class has a very uncomfortable ride. You can hear the suspension working, but almost every bump gets into the cabin. 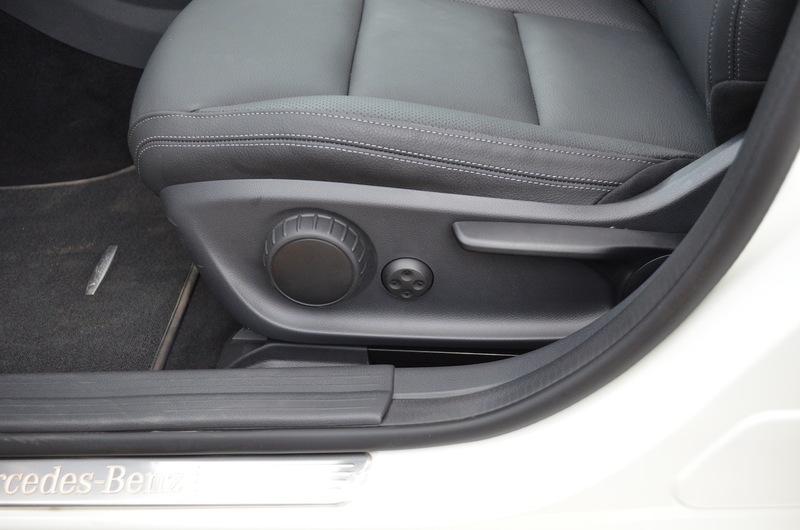 Then there are those sport seats which accentuate that bump with their lack of cushioning. 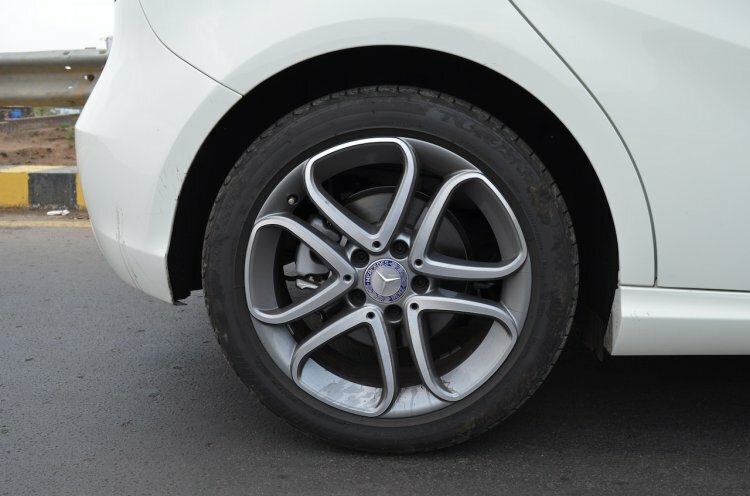 They feel very hard and stiff and as the variant nomenclature explains, they're optimized for sporty driving. At the end of the day, you're left with a very bad back pain. Hard seats accentuate each and every bump. 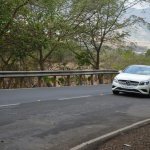 While I'm blaming the A Class for it's inability to soak up bumps, I feel that some of the blame should go towards our government for the bad roads. 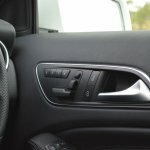 In Europe where the roads are perfect, the A Class would be a very comfortable car. 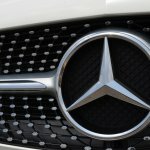 However, if the past 20 something years have taught us anything, it's that Mercedes has built a reputation for making the most comfortable cars even for uncomfortable roads. The A Class is like a spoilt, parent-disobeying child, doing things exactly the opposite way. Flat, tar roads is where the A Class truly excels. 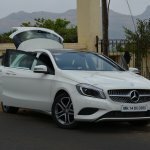 Summing up, the A Class is to the car what high heels are to women: They look stylish, but we can't get enough of the complaining of how uncomfortable they are. 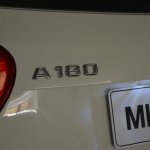 How much did the A Class average? Find out in Page 5. 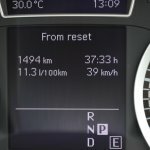 Fuel efficiency is pretty good. Fuel efficiency is pretty good. 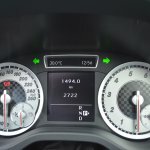 Even though the car was driven enthusiastically, I managed 8.3km/l which is pretty good for a 1.6 petrol with an automatic transmission. 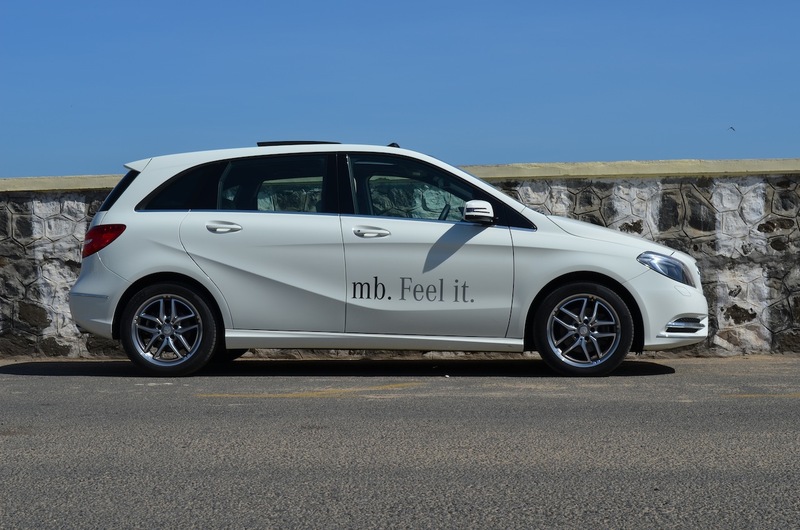 Drive it normally and the A Class will do the 15km/l claimed by Merc. 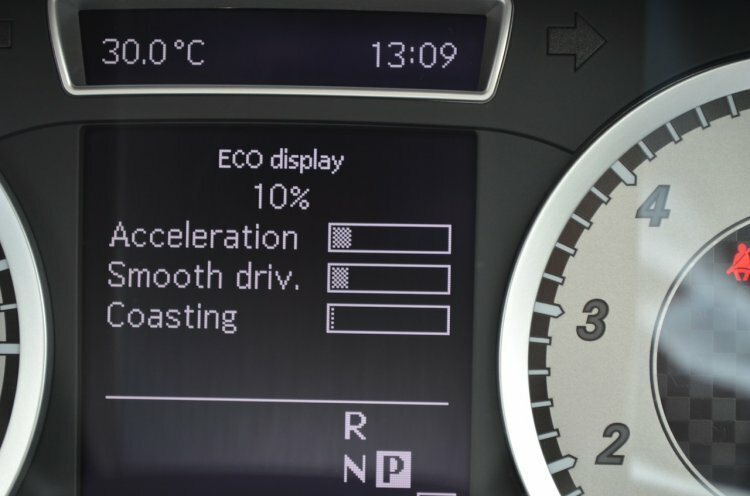 It even comes with an Eco mode to help you save on fuel consumption. 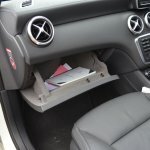 Keep a tab on your ECO driving. 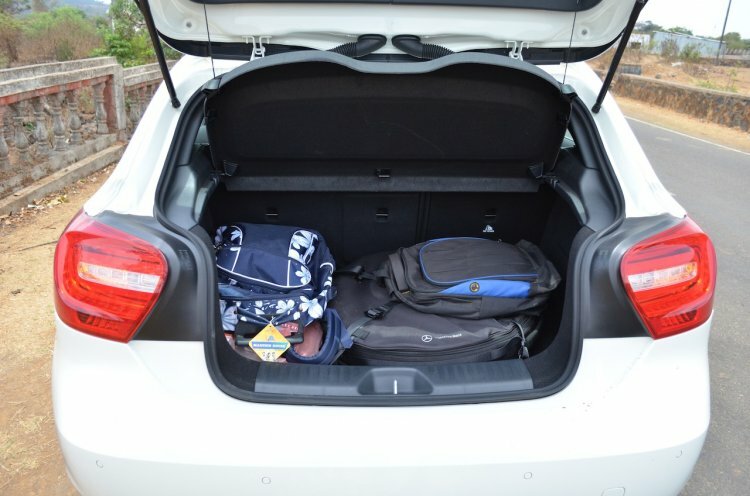 With the tyre in place, the A Class can accommodate a couple of soft bags. The A Class abroad features run-flat tires. 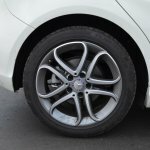 As a result, Mercedes does not offer a spare wheel. 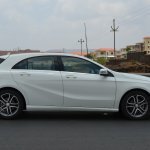 However for India, the A Class rides on tubeless tires. So Merc is providing a spare space-saver. 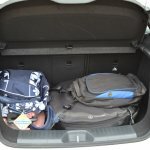 Since the boot of the car wasn't engineered to accommodate a spare, it had to be kept on the boot floor. 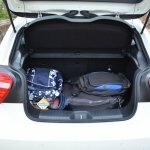 So your luggage space is compromised. Something you'll have to live with. 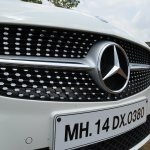 However, when we met Mr. Boris Fitz, Head of sales for Mercedes India, he told us that the company is working to solve this. 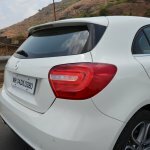 ..As I got into my 6-year old Maruti SX4, I thought whether I would buy the A Class after trading in my car. 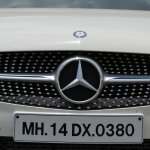 Priced at about 22 lakhs, I think Mercedes couldn't have priced it lower. 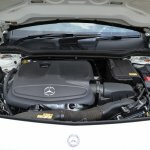 It costs nearly the same abroad and while you might argue that the economy is different there, there is no arguing that Merc can't price the car lower than it's home market. So it's not the price that affects me much. 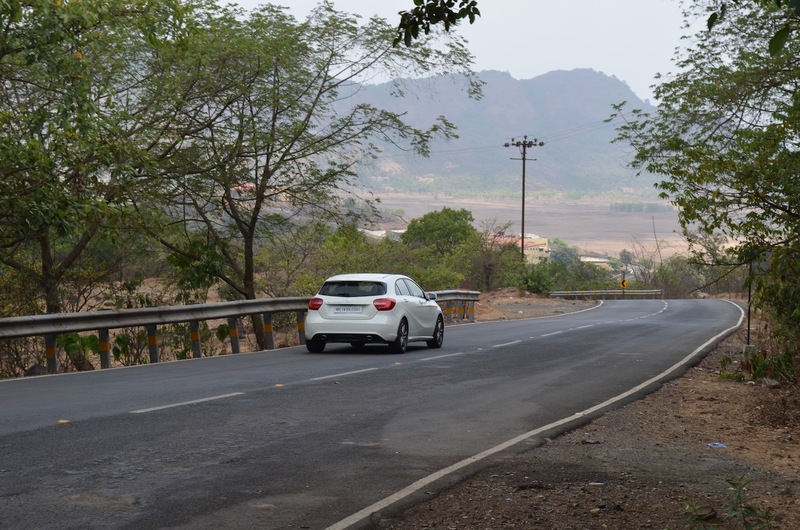 As my SX4 took to the potholes of Chennai, it made me realize that there is no way I would give up this sort of ride quality, all in the hopes of having a fancy badge. I expect my 20 lakh hatch to take to the Indian roads with finesse and that is something the A Class does not offer. And it's not like the bad ride quality of the A Class compensates for anything else. The engine is muted in the city and it's not the most spacious car available for that sort of money. 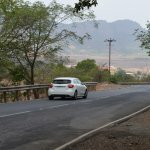 While the car is sporty, you need to frequent those sort of empty Aamby Valley like roads for it to make sense. So, do you? I don't, which is why I shall be passing the offer. 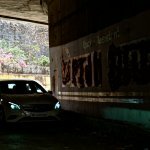 While it may not ride with finesse, make no mistake, this is India's hot hatch! Having said that, I think I would wait for the CLA Class. 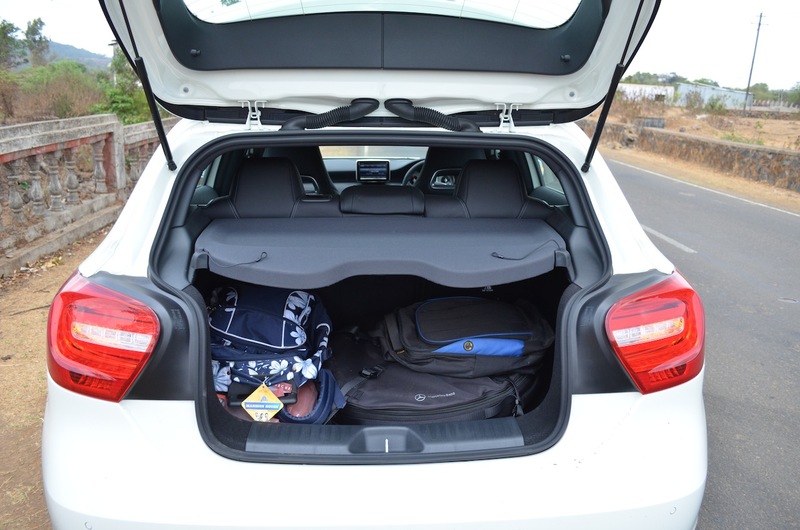 Even if it does have the poor ride quality such as the A, the four frameless doors makes up for everything! 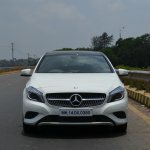 As a car, I really like the A Class. 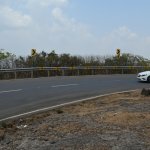 As a car for the Indian roads, I don't find myself being Pulsated by it. 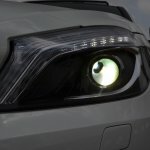 Page 6 answers your FAQ and also has the detailed image gallery of the A Class. 1. 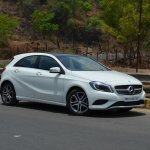 Should I buy the A Class? If you're 25 and you live in a city with excellent tar roads, you should. 2. I've a Skoda Superb/Honda Accord/Honda CR-V. I want to upgrade my vehicle. 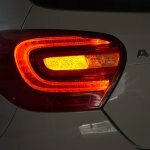 Should I consider the A Class? No you shouldn't. You're better off with what you have. The A Class can be your other car. 3. 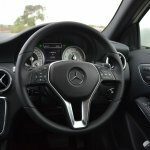 Is the A Class pricey? No it isn't. The CBU taxes are. 4. 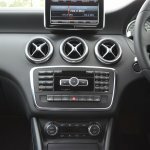 If the A Class had better ride quality, would you but it/recommend it? 5. 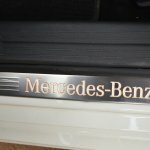 So if it's not the A Class, what would you buy? 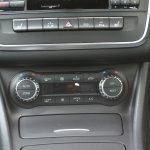 If I wanted maximum value for money, the Skoda Superb. If I wanted something sporty, the VW Jetta TSI. 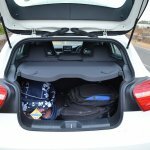 The Jetta's engine and dynamics can match the A Class. 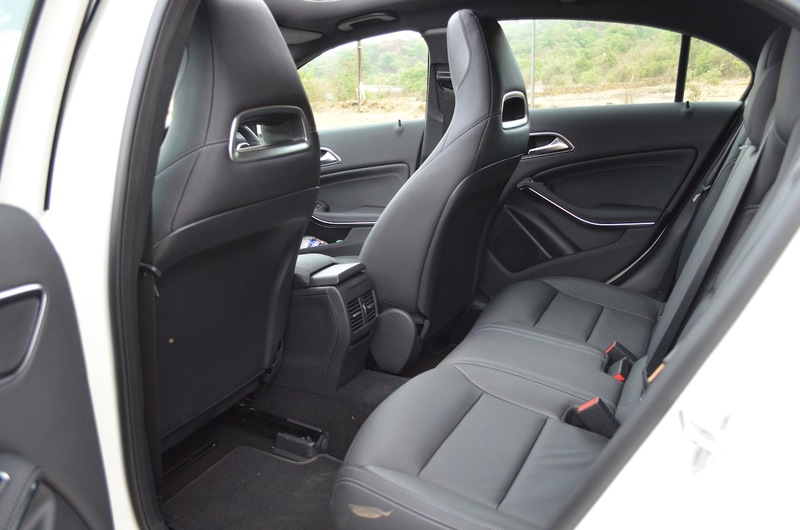 Not to mention it's brilliant ride quality and spacious cabin giving a luxurious feel. Yes, I would buy the Jetta TSI. 6. And if I were particular of the brand? Stretch a bit more and buy the Audi Q3.